Eden Hazard's on-off departure from West London could be about to reach its apparently inevitable conclusion. The Telegraph reports that the Belgian is ready to tell Chelsea that his future lies with Real Madrid and not at Stamford Bridge. Hazard revealed that he has decided on his future in an interview with French radio station RMC, as part of a documentary on his career, which is due to be aired Wednesday. The interview was carried out two months ago but appears to suggest that Hazard already had his heart set on a move to the Bernabeu -- a long-held desire he has made no attempt to conceal as his contract runs down at Stamford Bridge. His comments won't have created too much surprise at his current club. 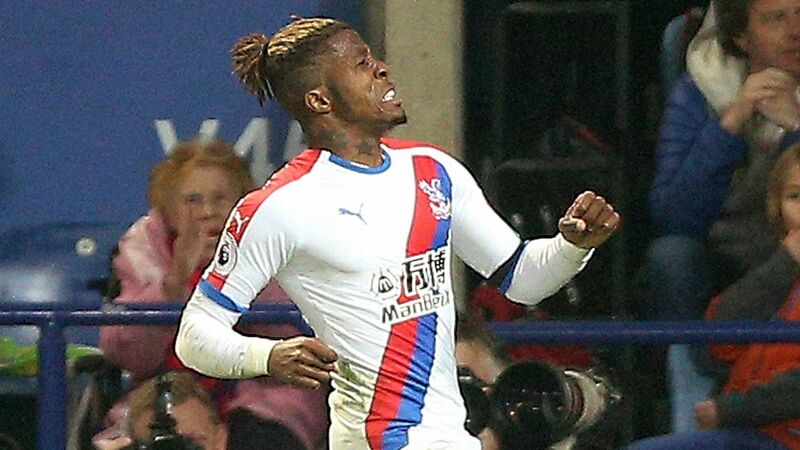 Last week, Chelsea boss Maurizio Sarri told the media that although he hoped the Belgian star would stay, he would have to leave if his mind was made up. He won't be cheap, though. Despite only having a year to go on his Chelsea contract, the club still values him at more than £100 million -- a figure that Madrid could hope to lower by making Mateo Kovacic's loan in West London permanent as a sweetener. What would life after Hazard look like for the Blues? 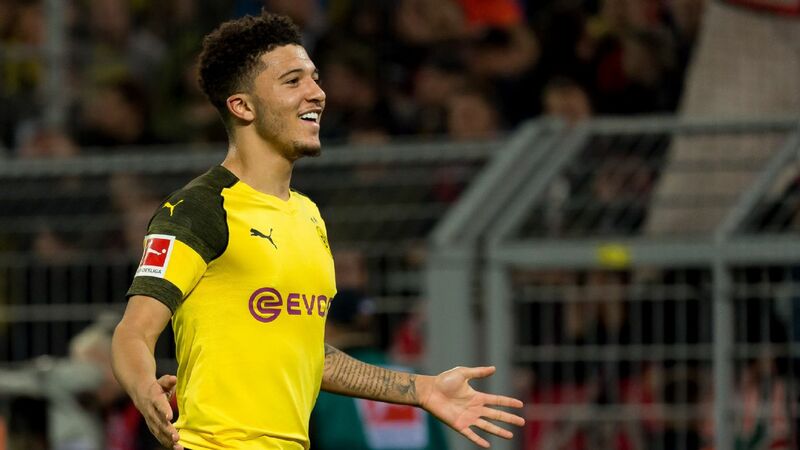 Well, Christian Pulisic will arrive in the summer, and Hazard's departure could open up more opportunities for Callum Hudson-Odoi, which could force the 18-year-old into rethinking his desire to join Bayern Munich. 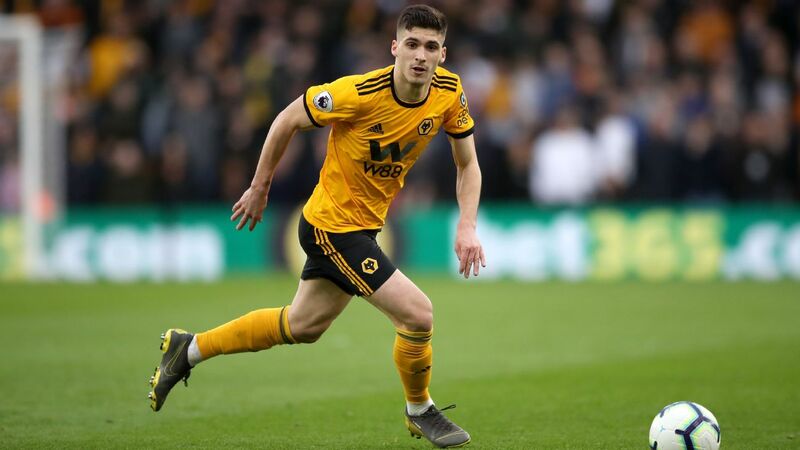 But despite the promise of Pulisic and Hudson-Odoi, the Telegraph reports that Chelsea would look for a big-name replacement for their No. 10. One name they could turn to? Philippe Coutinho, who could return to the Premier League just 18 months after making a dream move to Barcelona from Liverpool. 22.57 GMT: That's going to bring Wednesday's live edition of Transfer Talk to a close. 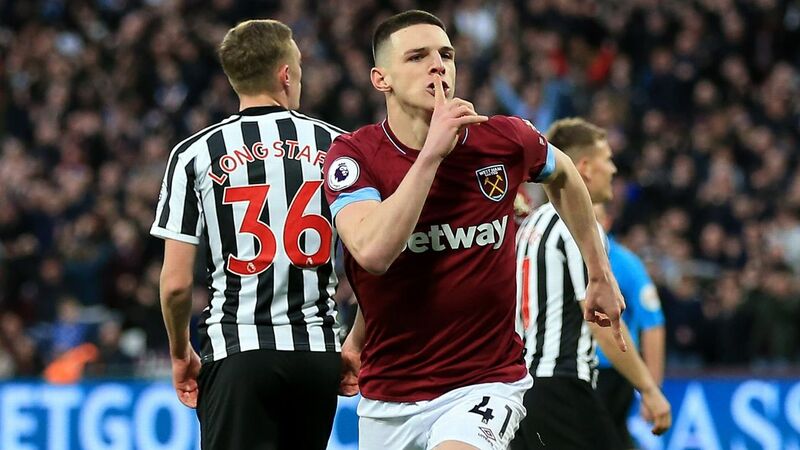 Thanks very much for joining us, and be sure to check back in a few short hours when we return with the latest gossip pulled from Thursday's back pages. 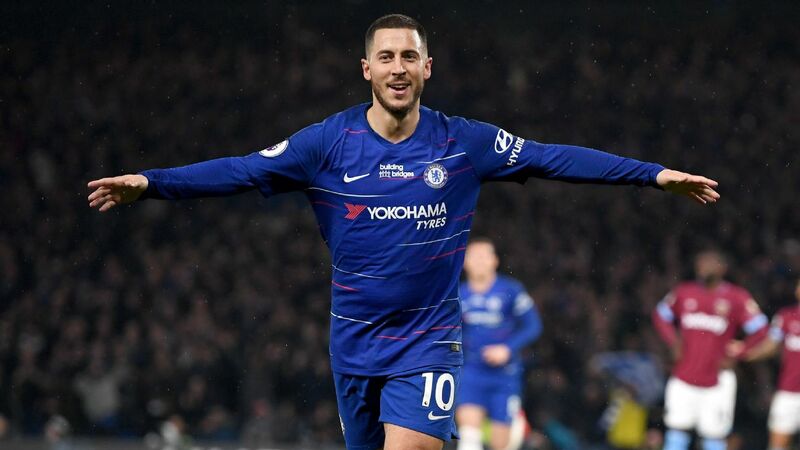 21.20 GMT: Who's up for some more speculation on who Chelsea could target to replace Eden Hazard if he does leave for Real Madrid this summer, as looks increasingly likely. The Mail sure is, as it reports that the Blues have interest in Lorenzo Insigne -- though, at 27 and reportedly valued at £140m by Napoli, that seems unlikely -- Richarlison, Pablo Sarabia and Leon Bailey. The report adds that a move for Barcelona's Philippe Coutinho is unlikely, and that while Chelsea are interested in Jadon Sancho, they accept there is very little chance Borussia Dortmund would allow him to join Christian Pulisic in West London this summer. 19.43 GMT: Inter and Juventus lead Bayern Munich, Real Madrid, Manchester City and Manchester United in the race for Fiorentina's 21-year-old forward Federico Chiesa, who the Viola value at €60m, Calciomercato cites Corriere dello Sport as reporting. 18.06 GMT: Another update on how Eden Hazard could join Real Madrid comes from the Mail, who reports that Los Blancos would be willing to offer Chelsea £100m and their choice of Isco or Marco Asensio. That is a steep, steep, steep price for a 28-year-old who would have just 12 months remaining on his contract. 16.49 GMT: Arsenal and Manchester United look to bring in Monchi with the Spanish sporting director close to leaving Roma, according to Calciomercato. 16.18 GMT: Manchester United will offer defender Phil Jones a new long-term contract, according to reports in the Metro. Jones, who has been at United since 2011, is out of contract in the summer, and started six of Ole Gunnar Solskjaer's first eight matches in charge. 15.50 GMT Legendary Welsh striker Ian Rush has told ESPN in an exclusive interview that Juventus will be getting "something special" when Aaron Ramsey joins them in the Summer. Rush said that this is a "fantastic move for him [Ramsey]" but he also gave some words of advice to his countryman saying: "The most important thing about Italy is you have to be confident in what you do...First impressions are a big thing in Italy". 15.05 GMT The Daily Mail Online claims that Manchester United's Ashley Young is very close to agreeing a new one year contract extension on his current deal with the club. The new deal iis set to earn him £110 000 a week. 14.27 GMT Barcelona president Josep Maria Bartomeu has insisted that Philippe Coutinho is not for sale and will not be leaving the Nou Camp in the Summer. The playmaker has failed to hit the heights so far but Bartomeu has told El Partidazo de COPE that the Brazilian leaving is non starter stating: "Are we going to consider the sale of Coutinho? No. It's a club bet,"
13.45 GMT According to football.london, Reading goalkeeper Vito Mannone is close to agreeing a loan move to the MLS with Minnesota United for the rest of the 2019 season. 13.00 GMT Genoa have officially signed Stefano Sturaro from Juventus on a permanent deal. The Bianconeri announced the sale on their club website confirming a fee in the region of £16.5 million for the Italian midfielder. 12.10 GMT The Daily Star has claimed that Chelsea could land both Isco and Mateo Kovacic as part of the deal that takes Eden Hazard to the Bernebeu. 11.20 GMT Liverpool midfielder Allan Rodriguez De Souza will complete a loan move to Fluminese this week, according to according to Brazilian journalist Fabio Azevedo. 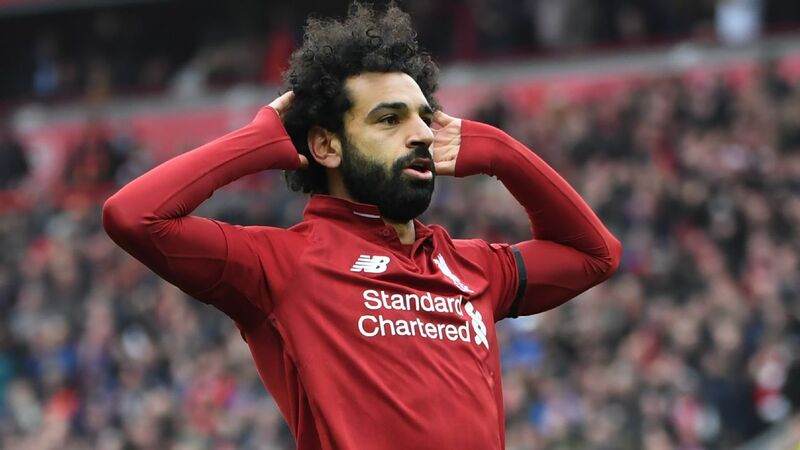 The midfielder is yet to play for the Reds, having been loaned out to five different clubs in the last four years, owing to work permit issues. 11.00 GMT Sources have revealed to ESPN that Barcelona will offer Lionel Messi a renewed contract whenever he feels the moment is right. Messi only signed a new contract at the end of 2017 but Barca chiefs are preparing to tie him down to a lifetime contract, similar to Andres Iniesta before his move to Japan. 09.55 GMT: Bayern Munich and Juventus are among the clubs keeping tabs on Manchester United goalkeeper Dean Henderson as he continues to impress on loan at Championship side Sheffield United, sources have told ESPN FC. The England under-21 international has played a key role in the push for promotion at Bramall Lane alerting the two European heavyweights as well as a host of Premier League sides including Arsenal and Tottenham. Henderson signed a new two year contract at United -- who also hold an option to extend the deal by another 12 months -- in the summer after a successful season at Shrewsbury. He was named in the League One team of the year after helping Shrewsbury reach the play-off final. 09.00 GMT: James Rodriguez has been linked with a move to Juventus this week, with reports claiming Cristiano Ronaldo has called him personally to persuade his former Real Madrid teammate to join him in Serie A. 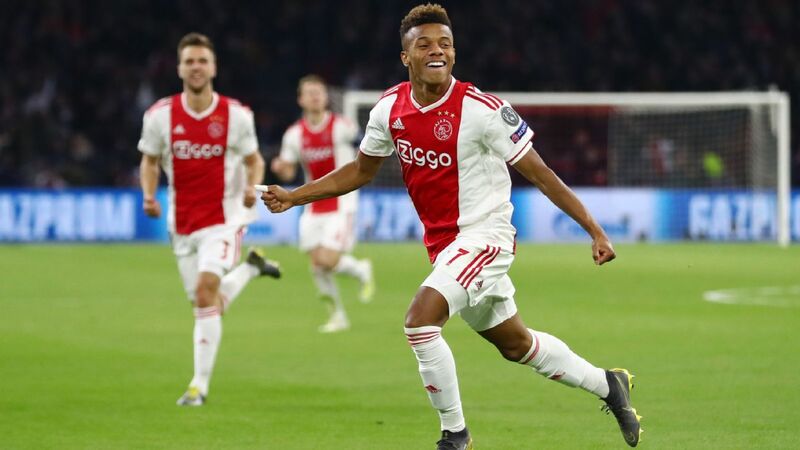 The Colombia international is in the second year of a two-season loan move to Bayern Munich, but his father has talked up the idea of a transfer to Serie A in the German media. According to Sport Bild, Wilson Rodriguez said: "He has many offers. [James and Cristiano] are very good friends. The way I perceive Italian football right now, [Juventus] would be a good decision." 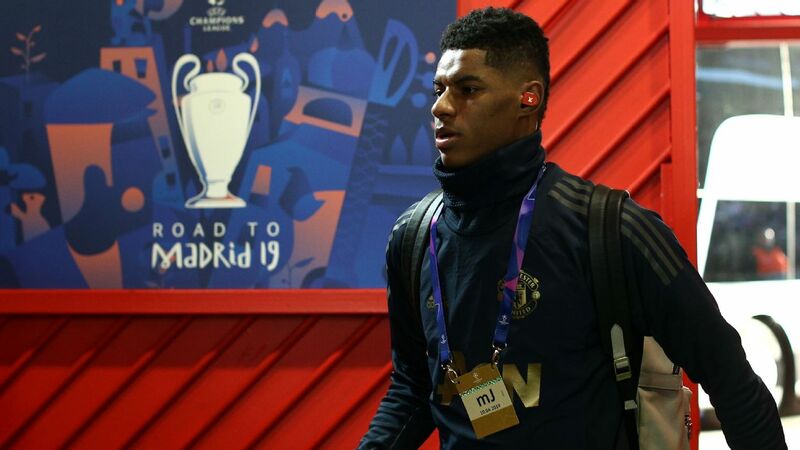 08.05 GMT: Real Madrid are still hopeful of bringing Marcus Rashford to the Bernabeu despite him being in talks over a new Manchester United contract, according to The Sun. Sources have told ESPN FC that United are discussing a new five-year deal with Rashford, following the England striker's rejuvenated form under caretaker manager Ole Gunnar Solskjaer. 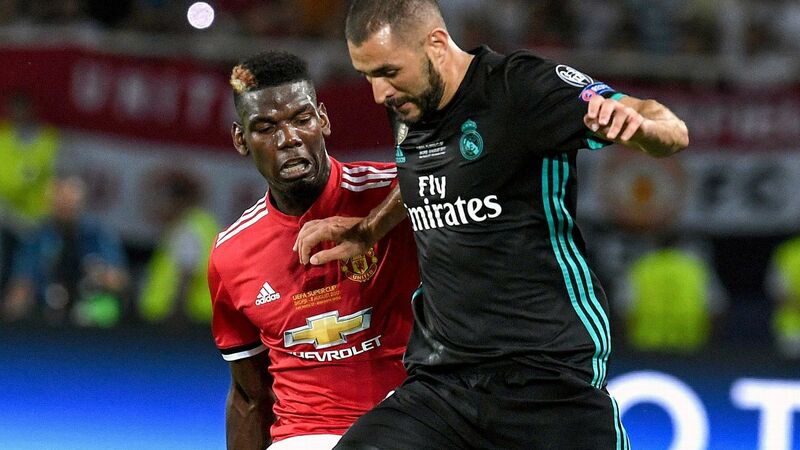 The 21-year-old was linked with a move out of Old Trafford earlier this season when things were not so rosy under previous boss Jose Mourinho, with European champions Madrid credited with interest. With eight goals in his last 13 games and in the form of his life, Real will no doubt be following the progress of Rashford's contract talks. 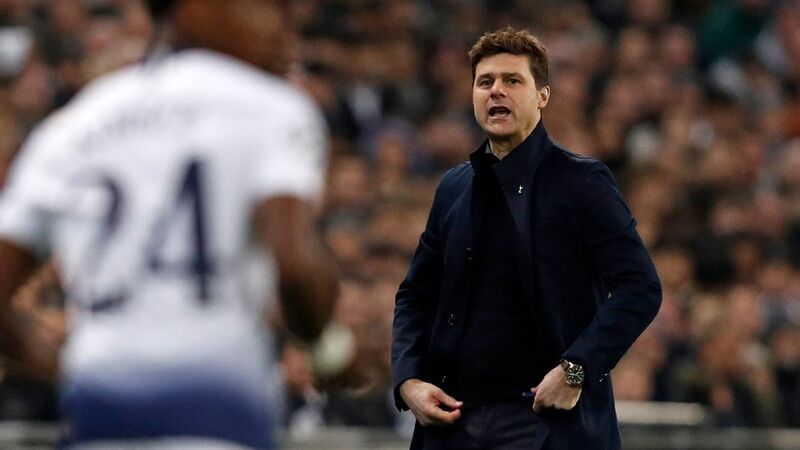 They might not have spent a bean in the past two transfer windows, but Tottenham seem increasingly hungry to add to their squad. The Mirror claims that the title chasers are closing in on Norwich right-back Max Aarons, who has already turned heads at Arsenal and Chelsea, too. Although the Canaries are flying in the race for promotion to the Premier League, the Mirror reports that Spurs are keen on sealing his signature before the summer window opens. Norwich have slapped a £15m price tag on the player, but that figure is unlikely to put off the vultures circling over Carrow Road. Globe-trotting Morrison headed for Sweden? It's snow joke. Sweden could be the next stop for the globe-trotting Ravel Morrison. The former Manchester United star is training with Ostersunds. No contract has been signed, but a statement from director of football David Webb on the club's website suggests that Morrison could make the Allsvenskan the latest stop in a career that has promised much but delivered little to date. Morrison has made just four appearances at Lazio since moving to the Serie A giants in 2015 and has drifted in every sense since departing Manchester United in 2012. The 26-year-old has spent time at West Ham as well as loan spells with Birmingham, QPR and Cardiff City. He spent last season in Mexico with Atlas -- an aptly named side for a footballer still desperately trying to find himself. Now the Swedish club will hope that the magic in his boots can be rekindled. And the cold of a Swedish winter can wait. Morrison has joined his new potential teammates at a training camp in Marbella. - Chelsea midfielder Tiemoue Bakayoko wants his temporary stay at AC Milan to become a permanent one, despite having three years left on his deal at Stamford Bridge. "Who wouldn't like to stay at a club like Milan for a long time?" Sky Sports reports he's quoted as saying by French newspaper Nice-Matin. - Spurs are keeping a close eye on Leeds starlet Jack Clarke. That's according to the Mirror, with the paper writing that Mauricio Pochettino won't be put off by Leeds' insistence that the 18-year-old isn't for sale. - Italy's Tuttomercatoweb claims that Chelsea had a £44m bid for Italian midfielder Nicolo Barella accepted in January before the proposed deal collapsed. The player eventually decided to remain with Cagliari.